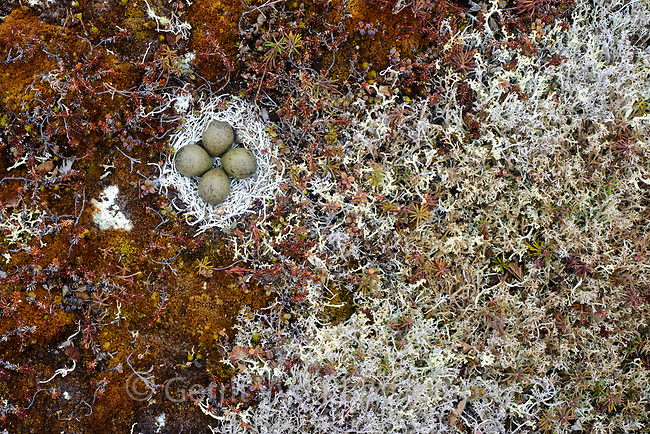 Black Turnstone (Arenaria melanocephala) nest lined with lichens. Very few Black Turndstones nest outside of the Yukon Delta refuge. Yukon Delta National Wildlife Refuge, Alaska. June.